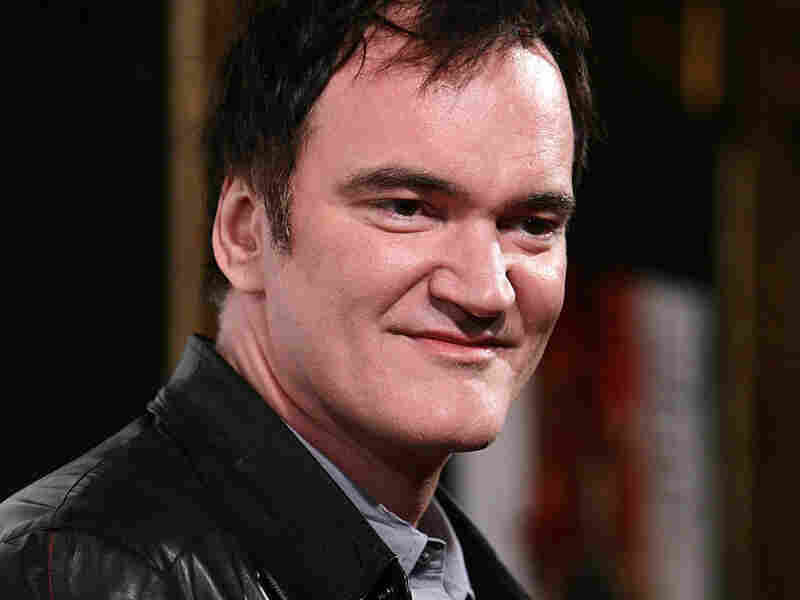 Quentin Tarantino: 'Inglourious' Child Of Cinema Take one part spaghetti Western and one part war film, and mix them together in a project helmed by acclaimed, eccentric filmmaker Quentin Tarantino. What do you get? Inglourious Basterds, one of the most unique films of the year. Tarantino talks about style and narrative — in both his personal life and his films — in this interview from Aug. 27, 2009. Quentin Tarantino's film Pulp Fiction was nominated for seven Oscars in 1994 and won the award for Best Original Screenplay. This week on Fresh Air, we're marking the year's end by revisiting some of the most memorable conversations we've had in 2009. To say that filmmaker Quentin Tarantino has "a following" is an understatement. Many of his fans can quote lines from his classic films like Reservoir Dogs and Pulp Fiction — and there are plenty of equally memorable scenes in his 2009 film Inglourious Basterds will surely be added to the canon. But the film also follows a team of vigilante American soldiers — a "bushwhackin' guerilla army" — on a hunt of their own. Their targets are Nazis, their tactics unorthodox to say the least, and the Germans will come to call this group the Basterds. Their leader is one Lieut. Aldo Raine, played by Brad Pitt. With an opening title card that reads "Once upon a time in Nazi-occupied France...," Inglourious Basterds signals from the outset that it's not going to be a historically correct look at World War II. Instead it's a fairy-tale version of a war story — and one with specific references to Sergio Leone's Once Upon a Time in the West. "I actually thought the idea of doing a World War II movie in the guise of a spaghetti Western would just be an interesting way to tackle it," Tarantino tells Fresh Air host Terry Gross. It's no accident that Pitt's troop leader describes himself as part Apache Indian and tells his men to bring back Nazi scalps. It's another homage to Hollywood Westerns, Tarantino says — and to history. "The Apache Indians were able, from different points in time ... to fight off for decades both the Spaniards and the Mexicans and the U.S. Calvary for years because they were great guerrilla fighters, great resistance fighters," says the director, who's part Cherokee himself. "And one of their ways of winning battles was psychological" — ambushes, scalpings, and even more brutal tactics that left their enemies terrified of being captured by an Apache. It was a powerful metaphor, Tarantino says, to employ in a story about a small but driven gang of warriors — specifically, a troop of Jewish-American soldiers fighting in Nazi-held territory. "To actually get German soldiers to think of Jews that way — you know, and they're not just any Jews, they're the American Jews, they're Jews with entitlement, they have the strongest nation in the world behind them," he says. "So we're going to inflict pain where our European aunts and uncles had to endure it. And so the fact that you could actually get Nazis scared of a band of Jews, that's — again, that's a gigantic psychological thing." Tarantino's work has been heavily influenced not just by spaghetti Westerns, but by classic movies in general. Inglourious Basterds nods to many of these influences — including '60s spy films and wartime propaganda reels — and movies prove surprisingly crucial to its plot. A movie theater even serves as the final battleground in the film. None of this is accidental. Tarantino recounts a childhood spent in movie theaters and acting classes as critical to his career as a director and screenwriter. Although he claims his unique writing style — which heavily emphasizes characterization through small talk — comes from his acting studies, he says his journey into directing was basically a departure from acting. "At a certain point, I just realized that I loved movies too much to simply appear in them. I wanted the movies to be my movies." Tarantino is currently in production on Kill Bill Vol. 3, to be released in 2014. This interview was initially broadcast August 27, 2009.